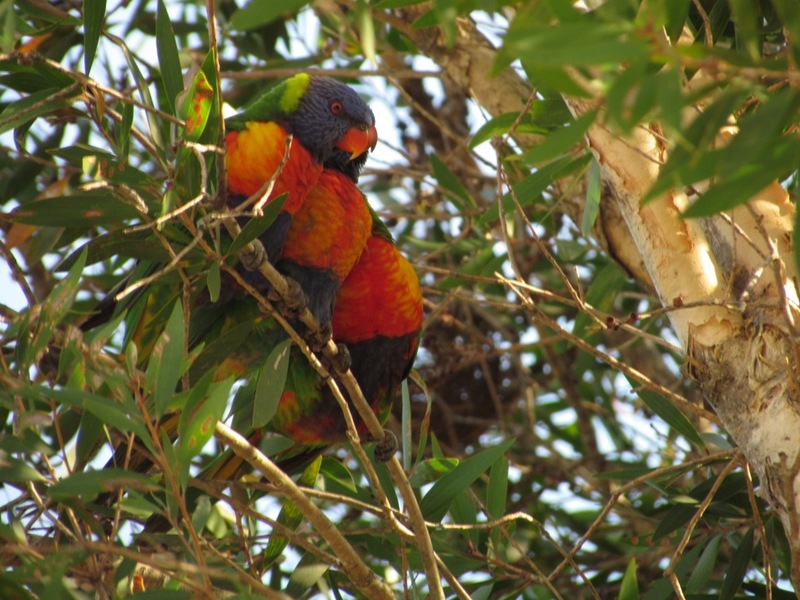 Lorikeets take advantage of recent flowering – Northern Rivers Wildlife Carers Inc.
Lorikeets are a noisy, but enjoyable part of North Coast life. Many native trees are currently flowering, providing nectar and pollen for the local lorikeet population. The few millimetres of rain we have received in recent weeks, has been enough to encourage many of the Shire’s native trees to flower. These trees are an important source of food for the local lorikeet population, providing them with both nectar and pollen. This area is home to two species of lorikeet: the Rainbow Lorikeet and the Scaly-Breasted Lorikeet. Rainbow Lorikeets are brightly coloured birds with a brilliant blue head, orange chest and green wings. Scaly-breasted Lorikeets are smaller in size, and are a plain green colour with a yellow scaly pattern on their chest. Lorikeets are specialist nectar feeders and have a brush-like tongue to collect nectar from a range of native and introduced plants. Depending on the flowering patterns of local trees and shrubs, lorikeets can travel up to 50 kilometres a day to find food. Currently many of the Shire’s Broad-leafed Paperbarks or Melaleuca’s are in flower, attracting lorikeets from all around. Late in the afternoon when they have finished feeding, they return back to their roost. At night they congregate in designated trees, which are sometimes a great distance from where they spent the day. These roosting trees are easy to identify, when at sunset they become almost covered with hundreds of screeching lorikeets. The sight of hundreds of lorikeets converging on a roosting tree is spectacular. They fly in, screeching and chattering loudly. After landing they clump together on branches preening one another and then dash around to repeat the performance several times before settling down for the night. The constant chatter of lorikeets is a familiar sound on the North Coast, making them one of the region’s most recognised native animal. So much are they part and parcel of life here on the North Coast, it’s hard to imagine life without them! 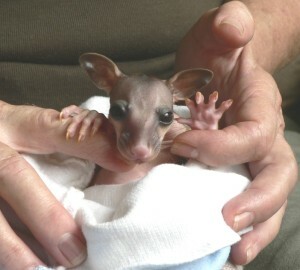 If you find any injured or orphaned wildlife, please call the Northern Rivers Wildlife Carers on 6628 1866. For seabirds and marine turtles only ring Australia Seabird Rescue on 6686 2852 and for koalas please ring Friends of the Koala on 6622 1233.